1998 - 2010 Sienna Spare Tire Carrier Cable - The corrosion resistance of the spare tire carrier cable is insufficient when vehicles are operated in areas where a large amount of road salt is applied. In the worst case, the carrier cable may fail and the spare tire could become separated from the vehicle, a road hazard for following vehicles. 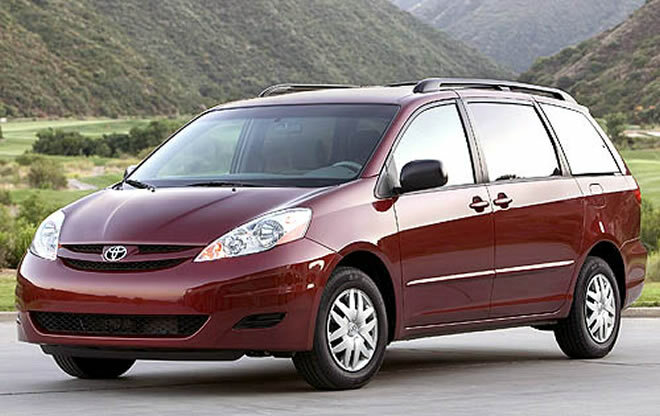 The recall includes certain 1998 through 2010 model year Sienna 2WD vehicles equipped with a spare tire and operated in cold climate areas with high road salt use.